Gigi Hadid walks the runway at the Prada show during Milan Menswear Fashion Week Autumn/Winter 2019/20 on January 13, 2019 in Milan, Italy. Chunky leather lace-ups completed Gigi Hadid's catwalk ensemble. 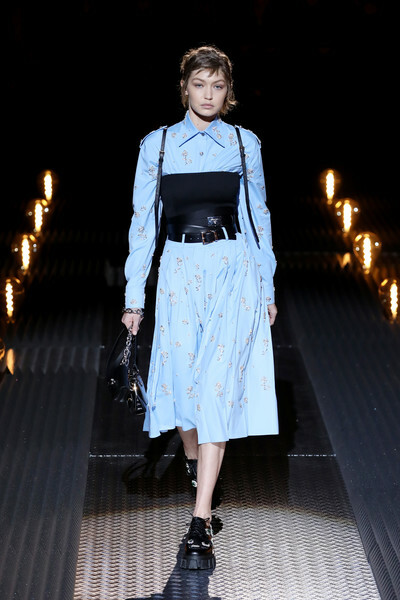 Gigi Hadid walked the Prada runway wearing a bejeweled blue shirtdress. A black tube top made for a more interesting finish.